Summer has been great but it is now time for us to start adding back in some of the basics. It's not our official start back to school but school nonetheless. I like to begin back reviewing the basics - the 3 R's as they are often called. 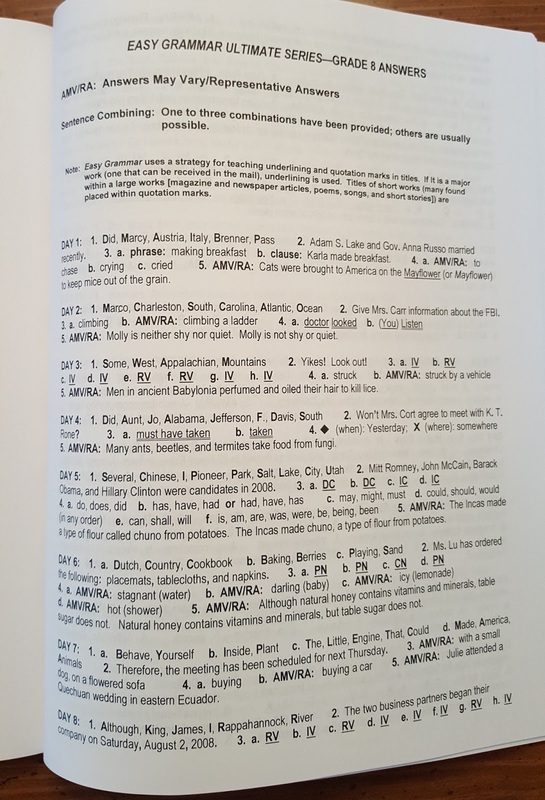 We were recently sent Easy Grammar Ultimate Grade 8 from Timberdoodle and it fits perfectly for our simple start. We will also be able to continue using it throughout the upcoming school year. 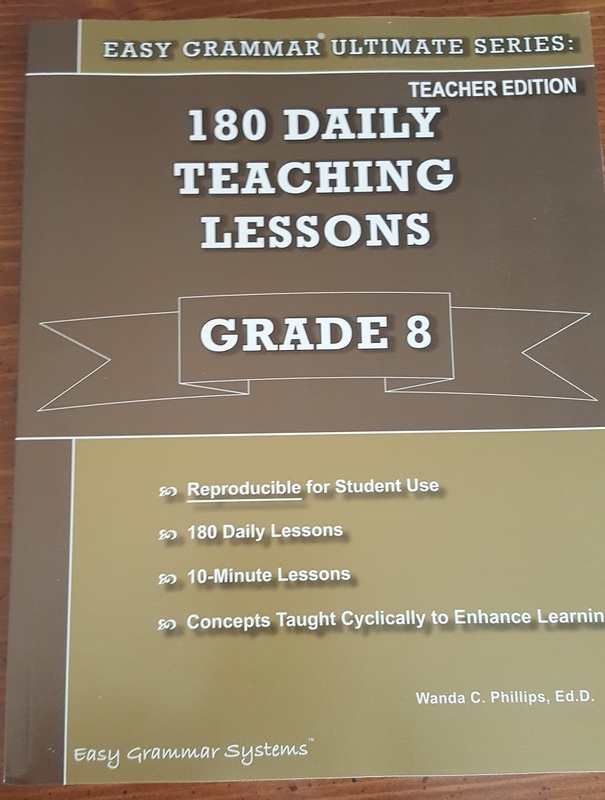 Easy Grammar Ultimate Grade 8 contains 180 lessons that can be completed in 10-15 minutes or less. 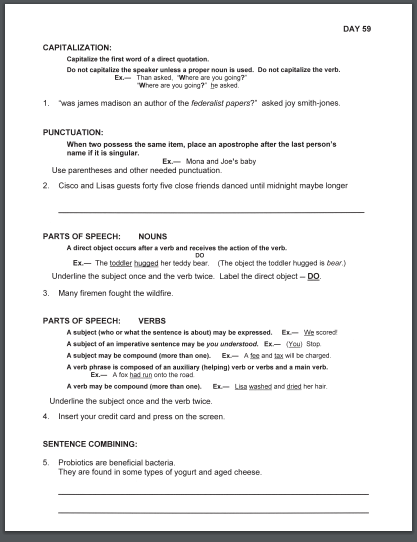 The pages are reproducible if you would like to use them with more than one student. Lessons are meant to be completed daily. We used the digital format last year for Sarah but I really love that I don't have to print out the pages each week to prepare this time. The whole year is right there waiting for me! Each lessons follows the same format but also builds upon the previous lesson. The lessons are designed to be simple to use and follow for the student no matter their previous grammar experience. We are required to annually test our students in NC and we usually do that with the CAT test. Sarah's scores have improved in the Language Arts portion of the test and I really think it's because she is constantly reviewing grammar daily. We found that before, she would have learned a concept but during test time if we hadn't reviewed that particular item such as comma usage, her test scores dropped. 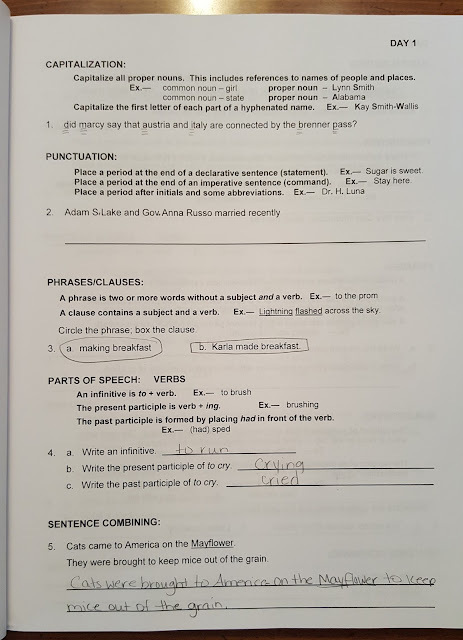 Using Easy Grammar Ultimate Grade 8 helps her to get the constant repetition she needs for mastery. Each lesson follows the same format and is divided in to five parts including capitalization, punctuation, grammar concepts including parts of speech, comma usage, phrases/clauses, etc, and finally sentence combining. I'm not sure why but Sarah's biggest struggle area was the sentence combining. It's an area I would not have thought of on my own to teach her so I am so thankful it was included. Students are also given age appropriate sentences containing history, geography. literature, and more. I love that the books are written for the students to be able to complete independently. Students can also check their own answers which are included in the book. Sarah still prefers for us to go over answers together so that's what we do usually first thing every morning. Again, the concept is pretty simple but we have found more times than not that simple is successful! The use of daily grammar activities has helped Sarah gain confidence in her annual test scores as well as her writing. 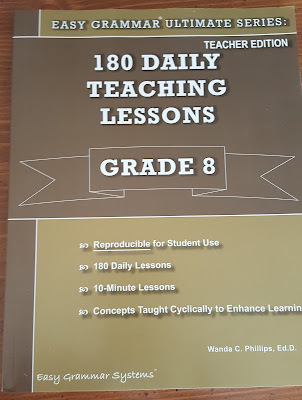 This workbook currently sells for $28.75 for a full year. There are different books for different grades. I think it's perfect for middle school and high school because it takes up so little time. Scroll down on this page to see sample pages. This book is also a part of Timberdoodle's Eight Grade 2016 Curriculum Kit. Just a question. Should one do the Easy Grammar Plus before the Ultumate Series?